Last week, we compared two very similar "Eurocanards". This week will look at two American designs. While they fulfill similar roles, they are quite different. One is a updated version of an old favorite, while the other is completely new. These aircraft will be serving alongside each other in both the US Navy and the RAAF. For this match-up, we are going to compare more common variants of each, the F-35A and the F/A-18E. How does the old workhorse stand up compared to the new kid on the block? Let's find out. Interdiction: The Super Hornet is no slouch here, especially when supported by its EA-18G Growler variant. The F-35 has the advantage of stealth, however, enabling it to sneak through an enemy's radar defenses. While it may not match the B-2 in stealthiness, the F-35 is the sneakiest strike aircraft in existence right now. Advantage: F-35. Deep Strike: The Super Hornet has a lot more options when it comes to extending its range. Conformal fuel tanks (CFTs) are being developed, but in the meantime it still has the option of mounted external tanks. The F-35 goes further on internal fuel, but external tanks are still a ways off. Advantage: Super Hornet, at least until the F-35 gets external tanks. Payload: Despite the Super Hornet being larger, with two engines, both aircraft carry similar amounts of ordinance. The Super Hornet has the advantage of one extra pylon, but it has to sacrifice that advantage in order to carry a targeting pod. Advantage: Tie. Close Air Support: Both aircraft carry nearly identical weaponry, and operate from similar altitudes. 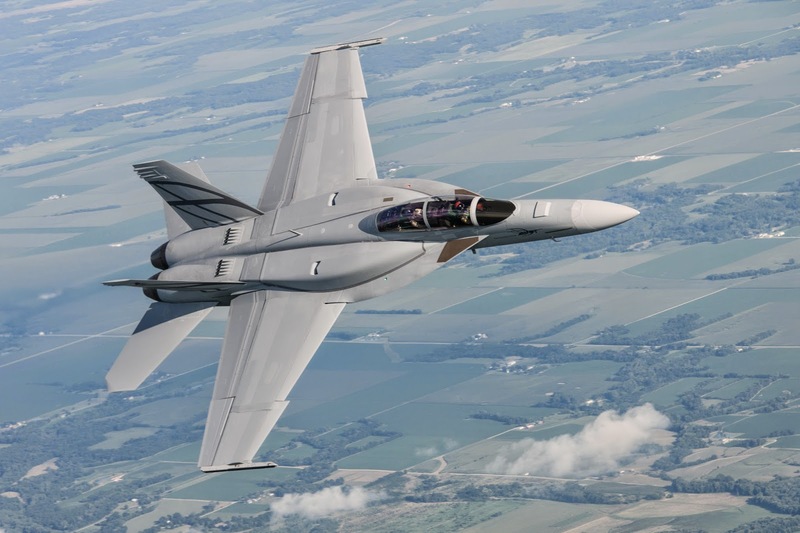 The F/A-18F's extra seat could be a slight advantage, but so could the F-35's more advanced HMD and sensors. Advantage: Tie. Both aircraft are excellent "ground pounders". While the F-35 has a stealth advantage, the Super Hornet better options for extending its range. Things get a lot more complicated if you start bringing in the EA-18G Growler, as well (more on that later). Winner: Tie. First look, first kill: Both aircraft use similarly sized AESA radars. The F-35's is slightly more advanced, however. The F-35 also has its EOTS and DAS giving it a 360 degree view of the area around it. On top of all this, the F-35 is a much stealthier aircraft than the Super Hornet. Even with the proposed "Advanced Super Hornet" upgrades, the Super Hornet will never be as stealthy as the F-35. Advantage: F-35. Clear winner. Beyond Visual Range: Seeing the enemy is one thing, knocking them down is another. Both aircraft use the AIM-120D AMRAAM BVR missile, which has a maximum range of about 180km. The actual "no escape zone" is significantly less (and very classified). The closer the F-35 gets, the better chance of a missile hit. Unfortunately, getting closer increases the chance of detection. The F-35 pilot will have to tread a fine line, but ultimately has the advantage if they don't get too close. The Super Hornet's best strategy here is to bring the get to the merge a quickly as possible, negating the F-35's stealthy advantage. Advantage: F-35. Dogfight: If the F-35 pilot finds himself in a dogfight, then something has gone terribly, terribly wrong. While the F-35A does have an impressive 25mm cannon, it might as well be for decoration at this point. The low-and-slow flight regime is where the Super Hornet lives. Its legendary high AoA performance give it the proper "nose authority" to point its gun at a target easily. If that wasn't bad enough for the F-35, its lack of visibility and fire suppression is enough to put its pilot into a cold sweat. The delicate F-35 simply does not have the chops to stand up to the much sturdier Super Hornet. Advantage: Super Hornet, Clear winner. Each aircraft is clearly superior in its particular regime. The F-35 is clearly the sniper, taking out its enemies before even being seen. The Super Hornet is more of a knife fighter, simply wrecking anything that gets too close. Unfortunately for the Super Hornet, the F-35 has no need to get that close. A smart JSF pilot will simply let its AMRAAMs do the talking, then slink back into the darkness. Winner: F-35. Versatility: The F-35 comes in three flavors, the F-35A CTOL, the F-35B STOVL, and the F-35C carrier version. While it is always nice to have options, the B suffers from a decreased payload and range, while the C suffers from decreased performance compared to the A. They are also a great deal pricer. It is also strictly a single seater, so the F-35 pilot has nobody to share the workload. Then again, the F-35's stealthiness and sensors make it a fantastic reconnaissance platform, no matter what the variant. As for the carrier-capable Super Hornet, it would be hard to find a more versatile workhorse of a fighter. It is available in single-seat F/A-18E, two-seat F/A-18F, or two-seat electronic warfare EA-18G "Growler" versions. The Growler variant is capable of wreaking havoc on an enemy's radar and communication systems. If that wasn't enough, the Super Hornet is also capable of mounting "buddy refueling" tanks, giving it the ability to refuel other aircraft. Both aircraft were designed with a penchant for strike over air-superiority. Neither aircraft is optimized for air-superiority, however. Oddly enough, the best way to get the optimum "bang for the buck" with both aircraft is to buy multiple variants of each. Despite this, both aircraft work much better when they have a true air-superiority fighter backing them up. Advantage: Tie. Logistics: Currently, the Super Hornet sees service with the US Navy and the RAAF. While Boeing likes to play up its commonality with the legacy F/A-18 Hornet, it is almost an entirely different, and much larger, aircraft. That being said, it is still a relatively simple, straightforward aircraft to maintain and has proven to be reliable aircraft. 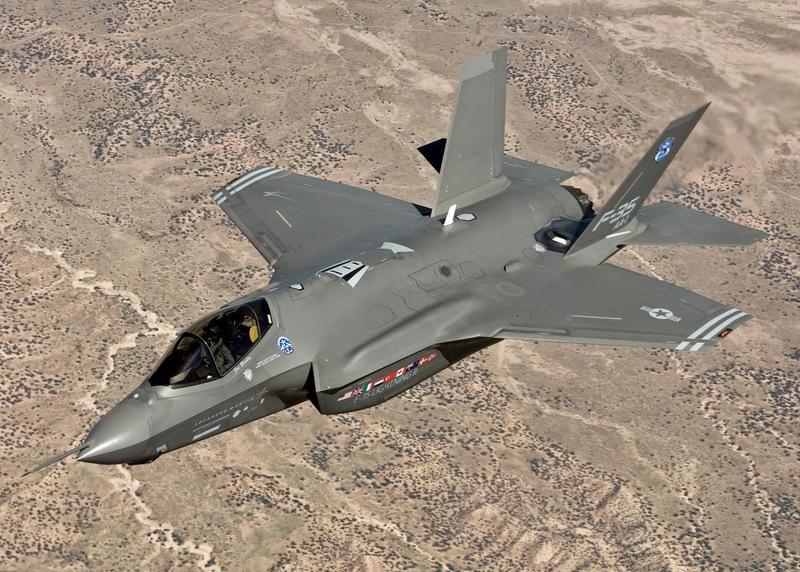 If all goes as planned, the F-35 will see well over 3,000 units in the hands of at least a dozen or more operators, making it the preeminent fighter of the western world. Parts for it will be built all over the world, and spares should be plentiful. Then again, the F-35 development has been plagued with reliability issues and software glitches. Such is the case when you have an aircraft composed of exotic new technologies. Stealthy aircraft also have a habit of becoming "hangar queens" since their radar absorbent skins tend to not hold up well to bad weather. If the JSF sold in fewer numbers, the Super Hornet would likely run away with this one. But its numbers are impossible to ignore. No matter where you find yourself in the world, there is likely to be a parts supply chain and other infrastructure nearby. Advantage: Tie. Surprised? You shouldn't be. The F-35 matches or exceeds the Super Hornet in a lot of ways. While the Super Hornet does have its strengths, it is not enough to come out ahead of the JSF. Both aircraft were built using the performance of the legacy F/A-18 Hornet as a benchmark, the F-35 just so happens to take it a little further, technology wise. What really brings the Super Hornet down is the fact that it doesn't really have anything outstanding about it. It is not particularly fast or agile. It doesn't have any really cool features like IRST, stealth, or thrust vectoring. It is just... Generic. It is like the Toyota Camry of fighter jets. Completely reliable, capable, and easy to live with... But it doesn't really stand out in any way. Comments? Arguments? Abuse? Put 'em in the comments below! Except that one is waaay cheaper, de risked, combat proven etc. Did the air combat portion include a Rhino with the IRST pod? Certainly Super operators will have this option added to counter stealth and get a better AMRAAM shot. You also didn't mention only 4 are carried vs 8(?) for the Rhino. Also, won't the Brewster er, I mean the 35 have turn on its radar to find the super 18 in the first place, thus being detected by the radar warning detector of the Rhino? The biggest challenge for the "Fighter Jet Fight Club" is Existing (operational) vs In-Development vs Proposed. Comparing the F-35 vs the F-18 SH is exactly this problem, since the reference for each aircraft is in question. That said, appreciate the work you are doing and keep the discussion going. This article is a joke. The Super Hornet beats the F-35 in versatility and logistics. The F-35 logistics train is not even set up yet and it's not a maintenance friendly aircraft like the Super Hornet. They also didn't bring cost into the factor. If everything the F-35 was suppose to do worked as advertised and the price point was where it is suppose to then no I would not be surprised at the F-35 vs F-18 SH score. The issue is that the F-35 is nowhere near advertised. 2 engines (2 lifes), growler sensors to detect any F-35 emission, Affordable Low Observability, Helmet Mounted display that works, Super manueverability with out 3D engines, Close Air Support VERY CLOSE to the target or with stand off weapons, day and night all weather readiness, (no problem to flight close to a thunderstorm) Short take off and landing in windy small airfields in the north, capacity to launch all the weapons already in service including stand off weapons and decoys, full spectrum Jamming capacity, including L/Band emissions and all way cheaper than the F-35 prototypes. The Advanced Super Hornet option wouldn't really change the outcome. It also is far from a sure thing, with no funding as of yet. In the end, it's hard to include it. I think it's a great option, but it is still too much of an unknown. As mentioned in the rules, cost does not enter into the equation. 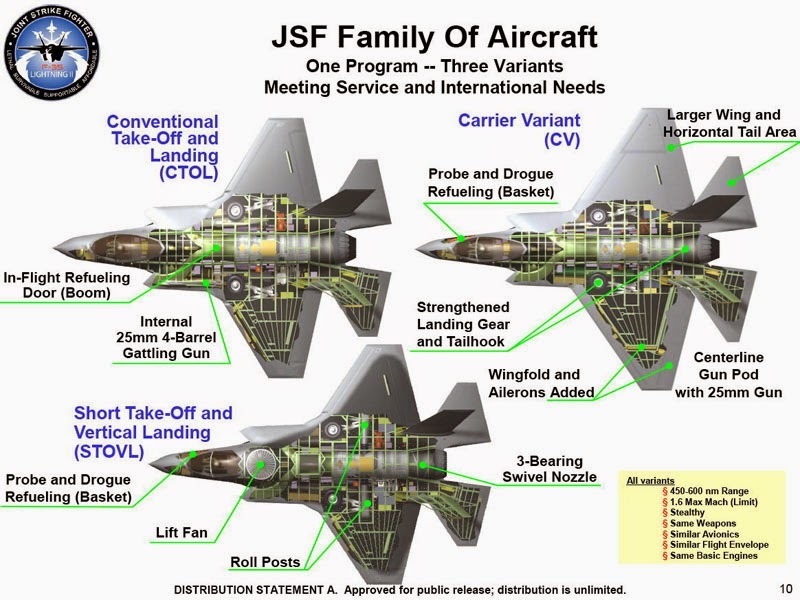 Also all systems are considered to work as advertised, this includes the JSF's trouble-prone ALIS system and claims it will approach F-16 levels of support. Is this going to happen? Probably not. The real take-away here is that the JSF just barely squeaks out a win against a much newer and expensive fighter. Even then, it's only if everything goes absolutely right for the F-35. I think if your going to compare what the f-35 could be ( and this is not assured) why wouldn't the fair comparison be what the Rhino could be? Even the actual Super Hornet with the sensors of the Growler on the tips of the wings and an IRST mounted on the central fuel tank can detect and destroy the F-35. so what's the big deal? - In 2008, the U.S. Navy was adding IRIS to the super hornets. - Stealth is still questionable. F-22 Raptor vs SU-35! Please god! someone! I think Doug was only comparing what Canada was looking at, not what is out there. But that is up to Doug. Personally, I would not mine if Canada also looking at the MIG35 and the SU35 and canadianize it. Canada should look at the best fighter, not there's vs ours. The Cold War is over and it is one world now. The Best fighter for Canada is the one Canada could buy in big numbers, to mantain properly and ready for accion all the time, to be able to operate all over the counfry in any clime, safely, with two engines, with Sat-Com, with the best ellectronic packate suite, a lot of proven weapons, sensors, stand of bombs, jammers, decoys, with air to air capacity long and close distance, and with the capacity to have double crue to controll formation of several UAVs to bring more bang to the fight. After day one, you also need an affordable airplane that could sustain a long campaing of ground attack, close air support, maritime strykes, jamming of enemy comunications an so on. The combination of Super Hornet/Growler X-47B is what Canada really need and not few hangar queens that wont keep their delicate skin in the icy weather of Canada. Long time ago a prepare a series of videos that shows much better all the capacity of the Super Hornets. I've really enjoyed these articles, so I hope you keep it going until you reach #1. So, we're down to the Typhoon, F-35 and Silent Eagle. Will you compare all three of these in one final article or do it in multiple parts? FWIW, to me it is between the systems-centric, stealthy F-35 or the super hot current generation Typhoon. Of course in the real-world, there is politics, economics, cost, industrial offsets etc. that will be factored in. It'll be interesting to see how this and other fighter competitions around the world play out. I understand the economic value of commonality and economics of scale, but I don't know why it wouldn't be okay to have 2 fighter types. The USN and USAF will have F-35's and F-18's and F-15's, respectively. Australia will also have Super Hornets and the F-35. South Korea, Japan, and Israel will also have a mix of F-35's and other aircraft. You have lower-cost, proven designs, and also the first-day-strike silver bullets. That might be a good way for Canada to go. I don't see it happening, but that's too bad if they don't consider it. Anyway, I look forward to more of your articles. Thanks and cheers! Are the IRST pods for the Super Hornet actually in use in the fleet yet? This is the first photo I've seen of one, and I wonder if it is from an operational squadron or from the test community? Well, the F-22 is not for sale to anyone, even U.S. allies and I don't think Canada would seriously consider a Russian aircraft even if it was objectively better. So, case closed, eh? I also thought the Cold War was over until Russia basically invaded the Ukraine. Things have gotten pretty luke warm (at least) under Putin.